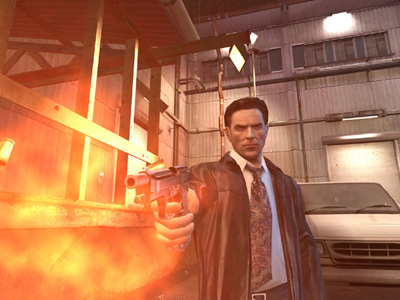 Max Payne, a popular videogame published by Rockstar, and 3DRealms is being brought to the big screen by Behind Enemy Lines director John Moore. Mark Wahlberg has been cast in the title role. The film is about a New York City cop whose wife and child are brutally murdered by a gang of thugs, high on a designer drug. Payne joins the DEA, and goes undercover with the mob to find the source of the drug. Framed for a murder, Payne finds himself hunted down by the mob and the DEA. It’s an entertaining game, with an amazing look and style, and Wahlberg is a shoe-in for the part of Max Payne, lets just hope its a decent script, historically, video game movies are rarely any good (though Doom was pretty entertaining, but not by any means good), but Max Payne is a great story, lets hope it translates to the screen. Shooting is set to begin in March, and end in May. For the record, Doom was anything but good or entertaining. It did inspired me to almost put a pencil in my eye, but it couldn’t even get me to do that (I needed my eyes to find the “friend” who convinced me to see it). I have to admit, I have a soft spot for anything The Rock does, good or bad. Dwayne Johnson has my heart.